FOI ideas: the Ministry of Justice data that isn’t published – but could be? The Ministry of Justice is inviting suggestions on data that might be opened up – but the list of 43 datasets also provides lot of ideas for Freedom of Information requests. Let us know if you do anything with them! This entry was posted in Crime and Justice, Data and tagged Ministry of Justice on September 17, 2013 by paulbradshaw. 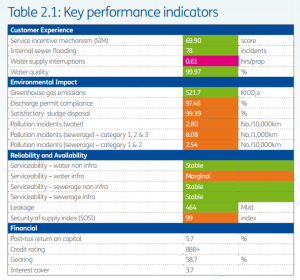 This entry was posted in Data, Environment and tagged Key Indicators, Key Performance Indicators, KPI, ofwat, Service incentive mechanism, water on September 5, 2013 by paulbradshaw. Widening state surveillance of the web and stories about corporate phone hacking have made journalists increasingly concerned about the security of their communications. 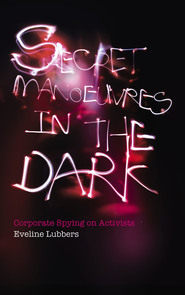 In this context Eveline Lubbers‘ book on corporate and police surveillance, Secret Manoeuvres in the Dark, is particularly timely. The book focuses on a number of well-researched cases from the past two decades involving subterfuge by private companies and police – sometimes in collaboration with each other. Each case provides key insights into the methods used to gather information on campaigners, activists and researchers, and to use that in strategies against them – but it also details strategies to mislead journalists and influence publishers. This entry was posted in Review, Tips and tricks and tagged ANPR, automated numberplate recognition, Bivings Group, British Aerospace, Campaign Against Arms Trade, cross-pollination, cybersurveillance, Eveline Lubbers, eWatch, GM crops, Greenpeace, Infant Formula Audit Commission, Infonic, James Bridle, Manfred Schlickenrieder, McDonald's, Monsanto, Nature, Nestle, Paul Lewis, police, Ring of Steel, Rob Evans, Secret Manoeuvres in the Dark, Shell, spying, surveillance, undercover on September 4, 2013 by paulbradshaw.